See more info on the kickstarter project page. 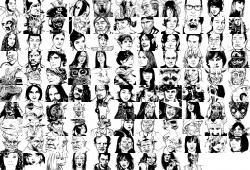 This project aims to create 60 Character Portraits (30 male, 30 female, predominantly human) that will be released using the Creative Commons Attribution 3.0 Unported License. This license would allow the works to be reused and remixed, including in commercial products. That means that anyone could take the character portraits and use them in stories, RPGs, NPC writeups, adventures, collages or larger works, provided they provided proper attribution for the portraits. 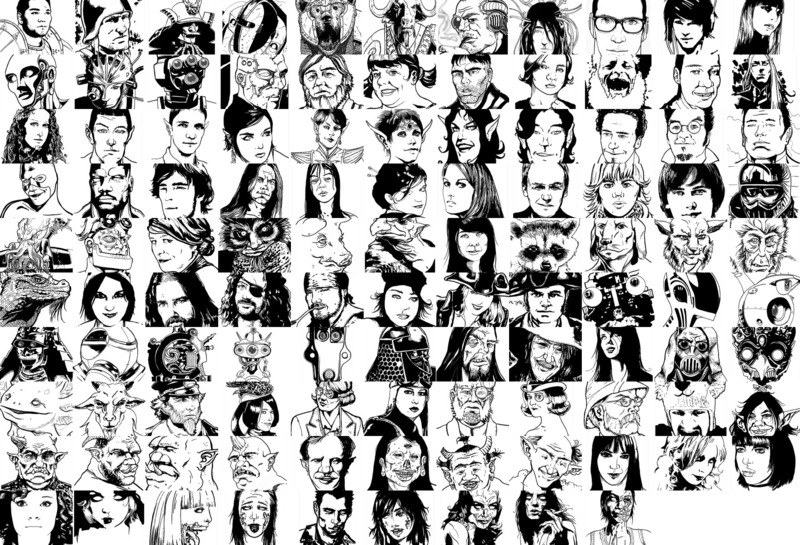 Each portrait will be hand-drawn by Jeff Preston (see his work here). The final images will be about 2" x 2 1/2" square, give or take. They will be scanned at 300dpi and made available for easy download. The portraits will essentially be headshots, geared toward system and period agnostic pieces to allow for maximum flexibility. Please Note : The vast majority of the money goes directly to the artist, Jeff Preston, to properly compensate him for his work. After related fees, I will retain a small amount (< $75.00) to cover my own time and expenses on the project (writing, mailing, etc). The text says that these portraits are CC BY, but the metadata says CC BY-SA. Which is it? Also, it looks like there's over 100 portraits here. How terrible!